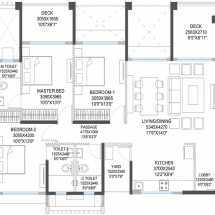 Area : 902 - 1133 Sq.Ft. Pune brings homeowners a refined social infrastructure to enjoy their lifestyle. If you are willing to get an apartment in Pune, have a look at Godrej 24. 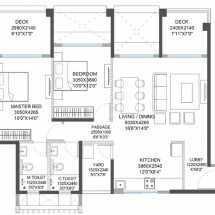 You can buy 2 and 3 BHK apartments in the residential complex. The prices of apartments in the estate start from INR 60 lakhs. It spreads over 9 acres of land and comes with a wide range of amenities for the residents. The housing complex has 12 towers, with 350 apartments for the residents. You can get an apartment here and live up to your housing dreams. The residential complex comes with a wide range of amenities. The residents can enjoy the swimming pool, gym, various indoor and outdoor games and other facilities in the complex. The children can play in their dedicated play areas. The residents can reach the important business zones in Pune in quick time from the estate. If you are interested in buying Property in Hinjewadi Pune, you should go for the sophisticated apartments here.